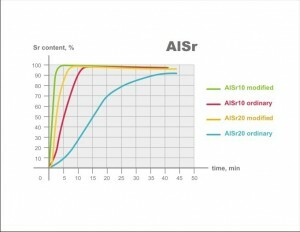 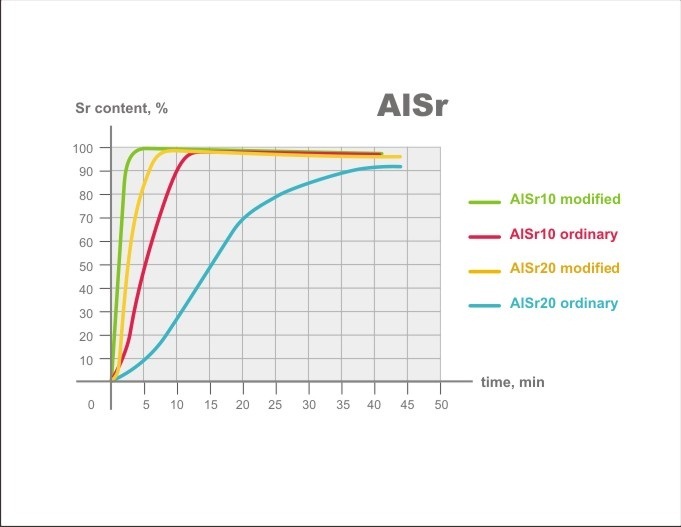 We offer technologies & equipment for production of AlSr (up to AlSr20) master alloys with globular (modified) intermetallic composition, which allows for better results in terms of density, dissolution speed and recovery rate compare to regular structure. 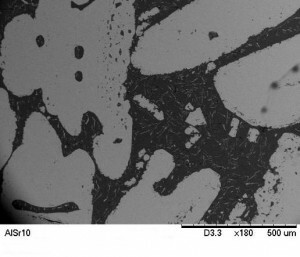 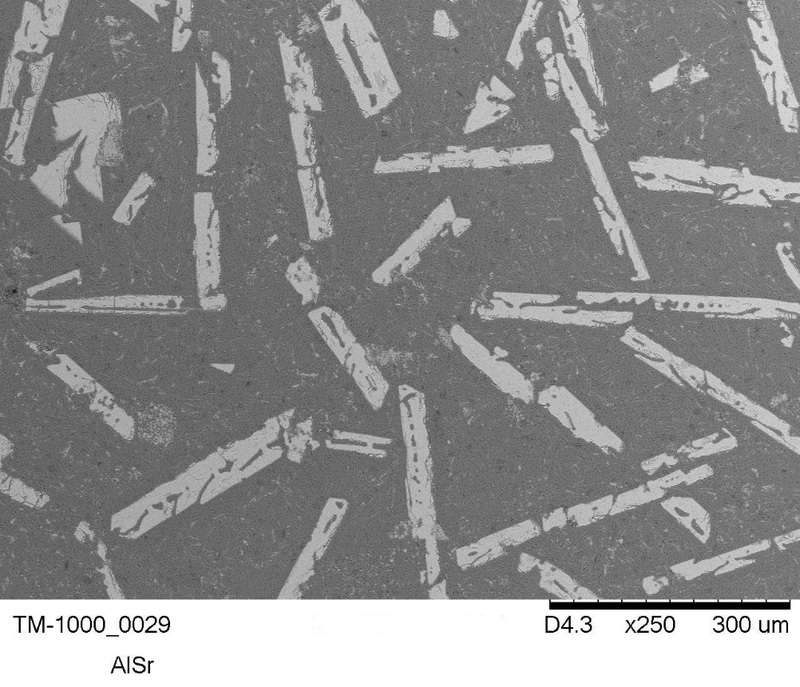 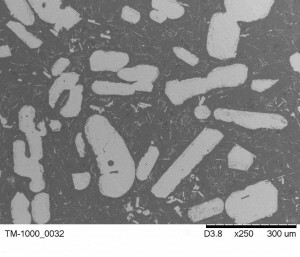 Globular intermetallic composition of AlSr master alloys allows for relatively better ductility of master alloys , i.e. 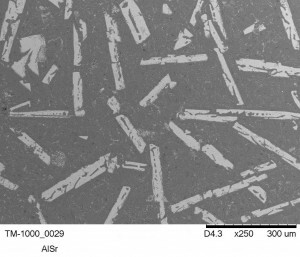 it can be used for production of high quality rod (up to AlSr20), which will not be brittle and will possess precise and constant characteristics of dissolution rate.